One one hand, North Dakota is known for a fairly harsh environment with weather extremes and for higher than average per capita energy use and emissions. When compared with our Minnesota neighbors and other states with effective energy efficiency programs we pale in comparison. Just this week a national rating service Wallethub rated North Dakota 47th in the country for energy efficiency. Fargo on the other hand, has been recognized for years as a national leader for innovative energy saving and revenue producing conservation efforts earning the designation by the Earth Day Network as the country’s most environmental city in 2007. Most recently, efargo was one of over 50 cities competing for the 2 year Georgetown University Energy Prize. Some good news is Geronimo Energy’s 200 MGW solar array in Cass County could provide the city of Fargo with another great renewable energy source to help us reach our efargo goal of being carbon neutral by 2050. Geronimo Energy announced these plans at last years Renewable Energy and Conservation presentation. Local resiliency leaders shared Fargo’s conservation projects and introduction by our grass roots group Citizens Leading Energy Action Network C.L.E.A.N. led by Ed Gruchalla and Paul Jensen. As the sharing economy is becoming more prevalent, some of us have been working on a feasibility study for allocating some of the new solar and available wind power to Fargo. One way to start this could be allocating offsite renewable power for a pilot hybrid smart meter project that would include: smart chargers, electric car sharing project (EVs to GO) that would help shave peak energy costs, reduce congestion and emissions, store electricity, and add another transportation option that compliments Matbus, Great Rides Bikeshare, carpooling, and walking. We learned about a similar system at Vulkan 5 in Oslo on our Smart Innovations Learning Tour to Norway in February that I helped coordinate with our eSmart Systems friend Henrik Bache and others. Photo below. This mixed use residents/commercial/parking development uses mostly renewable energy, has smart EV car charging, and smart meters for the residences to reduce energy use and save money. Norway has a goal to be carbon neutral by 2030 and now a full 50% of new cars purchased are electric. Here’s an earlier editorial about our efargo team led by Bush Fellow, Young Architect of the Year, and Nominee for YWCA Woman of the Year Malini Srivastava and students and community partners winning the 2 year national competition for the Georgetown University Energy Prize. The city of Fargo and its partners in conservation have been working hard for years to increase efficiencies and curb energy use. Their comprehensive efforts were recently recognized when they won the $5 million Georgetown University Energy Prize, a two-year competition between 50 semifinalist cities throughout the nation. Over the two years, the city and its residents saved an estimated $2 million in energy costs. That’s tangible evidence of the benefits of energy conservation, which is too easy to dismiss as the lofty aim of do-gooders. It’s all the more remarkable considering that North Dakota consistently ranks at or near the bottom of states in energy efficiency. Fargo began working in 2014 with its partners—North Dakota State University, the North Dakota Department of Commerce, Xcel Energy and Cass County Electric Cooperative—to form the partnership, called eFargo. But the conservation collaborations evident in Fargo’s winning effort can trace their lineage back years, some instigated by former City Commissioner Mike Williams. The stench from the city landfill, for instance, prompted city officials in 2009 to turn methane gas into electricity, and convert sewage into water suitable for industrial use. That effort was estimated to contribute $2 million a year to city coffers. Every day, the city treats about 12 million gallons of wastewater. Now up to two million gallons of water per day, once discharged into the Red River, is piped to an ethanol plant in Casselton, earning a profit for the city and reducing the use of groundwater. Since 2002, the city worked to replace incandescent street light bulbs with energy-efficient LED bulbs, which now illuminate all traffic lights and 85 percent of pedestrian traffic lights, saving $30,000 per year. Similarly, the MATBUS fleet uses biofuel blends and runs eight hybrids to save fuel and therefore reduce emissions. Altogether, city generation from methane, solar power and wind over the years has produced 57.1 million kilowatt hours—impressive, considering 1 kilowatt hour will power a 100-watt light bulb for 10 hours. The landfill methane generator produces enough energy to power 700 homes every day. The eFargo collaboration builds upon that foundation. Among other steps, it resulted in creation of a website that provides tips, data and games, including an evil character, Waste-A-Watt, to encourage energy efficiency and conservation. Students are a major focus of the effort, since they live where most energy is consumed—homes constitute 85 percent of Fargo’s energy use. The efforts saved the equivalent of 50.4 megawatts of power. Fargo has long prided itself on being a “green city.” The $5 million prize will help spur further efforts that will make the city even greener. Malini Srivastava, a professor at NDSU and leader of the project, hopes to use the prize money to work toward a net-zero carbon future for the Fargo-Moorhead metro area. One of the criteria that enabled Fargo to win the competition was the replicability of its strategies. We should spread the green; more communities would do well to follow Fargo’s lead. Editorials represent the views of Forum management and the Editorial Board. Fargo has made some solid progress building on good work by many proving conservation saves and pays. While it’s good to be recognized as an environmental leader nationally, we have much more work to do to protect our environment and natural resources. Let’s work together to vastly improve our stewardship of the only home we have, planet earth. After all, it’s in our hands. A recent blog featured in the Forum Opinions page erroneously stated the Production Tax Credit for wind energy is (as he states it in the article) a “Completely perverse 23 cents kwh”. This is simply not true, the PTC before 12-31-16 was 0.023 or 2.3 cents/kwh and now it’s 0.0184 or 1.8 cents/kwh. Note that the exact amount of the production tax credit for the tax years 2017-2019 will depend on the inflation-adjustment factor used by the IRS in the respective tax years. The misinformation campaigns about our current energy “Markets” such as the PTC being 23 cents is having a detrimental effect to renewable energy projects in North Dakota. Recently Xcel Energy announced they wanted to install another 300 mgw of wind production in South Dakota. They have plans for more projects that combine natural gas peaking with wind generation. Instead of throwing up obstacles, a welcoming atmosphere for these projects would help North Dakotans benefit by becoming a renewable energy leader. 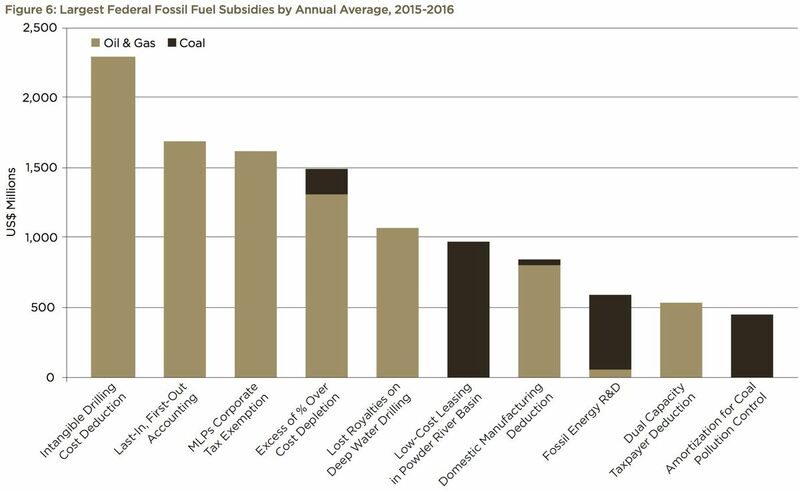 The PTC subsidies are being reduced even though they are a fraction of those coal and oil subsidies that have been developed and ingrained in the skewed energy “Market” for over a century. Reducing the PTC while wind, solar, and geothermal are produced at scale at a lower cost per unit of energy produced could be a good strategy as long as we also recognize and reduce subsidies ingrained in our country’s policies for fossil fuels. These kinds of obscure tax loopholes and accounting tricks are not widely known or debated, partially because you have to be a tax lawyer to understand them, and partially because they are simply old. The single biggest one, the intangible drilling deduction, has been around for over a century! As subsidies age, they start to look less like subsidies. They start looking like fixed features of the landscape, like mountains or rivers, rather than choices we are making. They just look like the status quo. 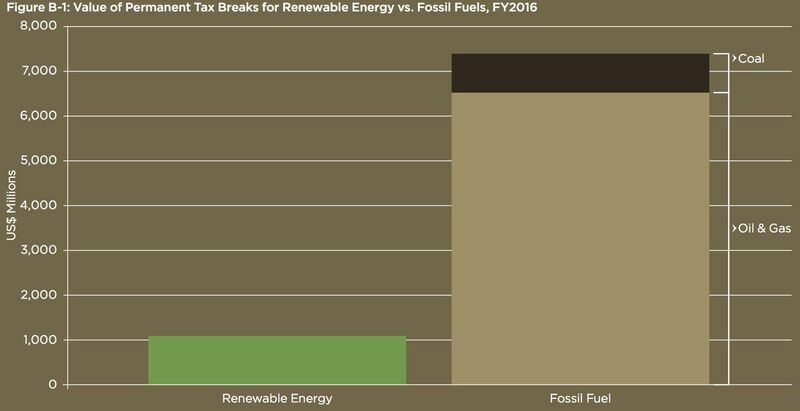 If you ask people in fossil fuel industries, their support staff in conservative think tanks, or fossil-state politicians, they will tell you why these fossil fuel production subsidies are necessary. It’s always been this way. They’re more than paid back by tax revenue. Other industries get them too. (For the record: More than half the $20 billion is available to fossil fuels alone). They create jobs. They’re important for national security. Tax expenditures aren’t subsidies at all, if you think about it. Etc. If the endless debate over energy subsidies has taught me anything, it’s that nobody thinks their own subsidy is a subsidy — and no one outside think tanks and universities really gives a damn about the economic distortions of subsidies as such. Everyone thinks their favored energy sources deserve support and the other guys’ don’t. Period. They use whatever economic argument is handy — “picking winners” if you’re against the subsidy, “supporting jobs” if you’re for it — but such arguments are always instrumental. As I said recently about coal’s rent-seeking, there are no true free marketeers in struggling industries. In the 2015-2016 election cycle, oil, gas, and coal companies spent $354 million in campaign contributions and lobbying and received $29.4 billion in federal subsidies in total over those same years — an 8,200% return on investment. Our country’s energy policies need to evolve beyond a system based on a century of oil and coal production in what has been and continues to be a skewed “market” that counter productively extends our country’s dependence on one time harvest fossil fuels. This while countries around the world and some states are embracing technology and cleaner renewable energy, storage, along with more efficient and resilient distributed energy systems now being developed close to Moores Law speed. There are already far more people employed in the solar industry field than in the coal industry and the renewable energy job market continues to grow. North Dakota is not moving forward if our state leaders and Public Service Commission continue to focus their efforts and our public money on extending our dependence and production of last century’s fuels with projects like the Allam Cycle that the developer can’t find banks to loan money for perhaps because banks recognize coal is a finite resource and not viable as a energy of the future. Instead we could convert older coal plants to burn available natural gas that is currently being flared. This type of plant is more adaptive and interacts better with intermittent wind and solar generation. This would be a cleaner transitional step while we focus on helping develop energy storage systems and distributed energy. A solid path forward is embracing technology and helping develop and use cleaner renewable energy and storage solutions that will help make North Dakota an energy leader into the future. GM Announces the Future Is All Electric, Let’s Ride the Wave! Way to be data driven and embrace technology GM! I didn’t know that GM sold more vehicles in China 3.6 million (many electric two seaters) compared to 3 million vehicles in the US. They’re joining a growing list of manufacturers around the world going electric and also working on self driving cars. We can prepare and ride the technology wave or be battered by it by denial and not planning for the future. “AFTER MORE THAN a century peddling vehicles that pollute the atmosphere, General Motors is ending its relationship with gasoline and diesel. This morning, the American automotive giant announced that it is working toward an all-electric, zero-emissions future. That starts with two new, fully electric models next year—then at least 18 more by 2023. GM is just one of many manufacturers that are embracing technology, being data driven, and moving on to electric vehicles and autonomous driving features. Here is another piece from a Mashable article sharing information on a broad range of manufacturers transitioning to electric vehicles. “A recent spate of announcements from the biggest names in the auto industry has put electric vehicle development front and center. Some carmakers have even pledged to release only all-electric or electrified vehicles — which include hybrid engines that run on electric power at least some of the time — by certain target dates. If these promises come to bear, the next decade will see a major shift in production trends, bringing electric vehicles to the streets in unprecedented numbers. That shift has already started, with a wave of all-electric cars built for mass appeal like the Chevy Bolt, Nissan Leaf, and Tesla Model 3 now available. The next few years will see even more growth in the EV space. Since most major automakers have at least outlined plans for electrification, we’ve compiled a list of where they stand on EVs and when we can expect to see the new cars out on the road. GM said it plans to phase out gas-powered vehicles for an “all-electric future” but didn’t give an exact date for an all-EV line. The effort starts, however, with plans for 20 all-electric vehicles by 2023. Ford created the EV-dedicated “Team Edison” to focus on the development of all-electric cars. The automaker also pledged to invest $4.5 billion over five years on new all-electric and hybrid vehicles, with 13 new models slated for release by 2023. Toyota and Mazda recently announced that they’re teaming up with auto-parts manufacturer Senso to create a new company to develop basic EV technology for use across multiple vehicle types and models, expanding beyond Toyota’s Prius line. The two Japanese carmakers also pledged to build a $1.6 billion U.S.-based plant by 2021, where they’ll work on electric and hybrid vehicles. Daimler, the parent company of Mercedes-Benz, will invest $1 billion in an Alabama plant to produce all-electric SUVs and build a battery facility, and $10 billion in EV development overall. Mercedes-Benz outlined a plan to electrify its “entire portfolio” by 2022, offering 50 electric and hybrid models. The Renault, Nissan, and Mitsubishi alliance will work together to develop new systems to use across their vehicle lines, with a focus on “purely electric” EVs like the Nissan Leaf. The automakers plan to release 12 all-electric models by 2022. Jaguar Land Rover (JLR) plans to electrify its entire vehicle lineup by 2020, with new powertrains ranging from mild hybrid vehicles to all-electric systems. Volvo will electrify its entire vehicle line by 2019, with five all-electric models slated to roll out from 2019 to 2021. The automaker hopes to sell one million of the electric and hybrid cars by 2025. VW Group, parent of European automakers like Volkswagen, Audi, and Porsche, will invest $84 billion in EV development. Roughly $60 billion of the total will be dedicated to battery production, but the company also plans to offer electric and hybrid versions of 300 vehicles by 2030.
http://electwilliams.com/wp-content/uploads/sites/39/2018/04/web-logo-300x138.png 0 0 Mike Williams http://electwilliams.com/wp-content/uploads/sites/39/2018/04/web-logo-300x138.png Mike Williams2017-10-03 16:26:562017-10-03 16:26:56GM Announces the Future Is All Electric, Let’s Ride the Wave! ND is falling behind in some important categories while state leaders are spending money protecting the status quo in energy and oil profits for out of state companies. Recently ND has ranked well for national rankings. Here’s a Commerce Dept post featuring one of these as 8th best state for business from last year. If we’re going to feature the good ratings, perhaps we should also acknowledge and address the not so good ratings as well? 5. North Dakota: Some North Dakotans disagree vehemently with this list, with one Bismarck radio station calling the report “bullcrap.” Nevertheless, numbers don’t lie, and North Dakota got poor marks for AP exam participation (it ranked 51), venture-capital funding per capita (47) and share of technology companies (46). This while other states are being innovative and future ready working towards developing capacity embracing and applying technology to transition toward energies of the future. This is the antithesis of being innovative, future ready, and data driven. We need to do better. Here’s one idea: We have the potential and transmission to produce and deliver electricity (We produce 36 Megawatt hours and export 20 million MWH) produced by cleaner natural gas by revamping our coal plants to burn natural gas. Natural gas works better than coal as baseload power with intermittent renewables as NG can be ramped up and down quickly. Here’s one example of a coal plant being converted to burn natural gas in Joliet Illinois. This would extend ND’s viability as an energy exporter as we embrace technology and work to develop and improve our own great cleaner renewable energy resources. What Would Theodore Roosevelt Say About Pruitt as Head of Environment? I’m writing this on Presidents Day. I wonder what Theodore Roosevelt would say and do about this administrations and majority of our Senate’s choice Scott Pruitt? I’m very disappointed in President Trumps nominee to our Environmental Protection Agency, and in our North Dakota Senators Hoeven and Heitkamp for approving Scott Pruitt. Clean air, water, and land is now in the hands of former Oklahoma Attorney General Scott Pruitt, a staunch defender of polluters in court. In many Oklahoma metro areas the air quality rates an F, and the number of level 3 injection induced earthquakes was 890 in 2015. To many Oklahomans, it is clear that that risk has risen sharply. Data backs up their experiences. The earthquake rate in the state has grown at an astounding pace. In 2013 the state recorded 109 quakes of magnitude 3 and greater. The following year the number jumped to 585, and in 2015 it reached 890. Every person that I’ve heard that runs for public office lists public safety as the number one priority. Protecting our citizens from harmful emissions, foul water, contaminated land is public safety and should be treated as such. http://electwilliams.com/wp-content/uploads/sites/39/2018/04/web-logo-300x138.png 0 0 Mike Williams http://electwilliams.com/wp-content/uploads/sites/39/2018/04/web-logo-300x138.png Mike Williams2017-02-20 11:39:582017-02-20 11:39:58What Would Theodore Roosevelt Say About Pruitt as Head of Environment? Fun to see our region emerging as the happiest states according to an interesting methodology. North Dakota ranks #1 for community and social environment. We know these studies are never comprehensive, but for the factors they evaluated, it’s a snapshot showing we’re improving by diversifying our population and economy. While we are improving in many ways, it’s important to recognize we have a long way to go to reach our regions great potential in a purposeful, inclusive, and sustainable manner. Working together, the best is yet to come! Can money truly buy happiness? Most people might be inclined to say no, based on moral principles. But some researchers beg to differ, suggesting that money can indeed contribute to happiness — but only up to a certain dollar amount. According to their findings, life satisfaction, one of the two main components of happiness, increases as income rises — to a maximum of $75,000 a year. Beyond that figure, money makes little difference in a person’s overall contentment with life. Reinforcing those findings are the annual results of a Gallup-Healthways poll measuring global well-being. According to Gallup-Healthways, “People who make more money tend to report higher positive emotions.” But income isn’t the only determinant of personal happiness. 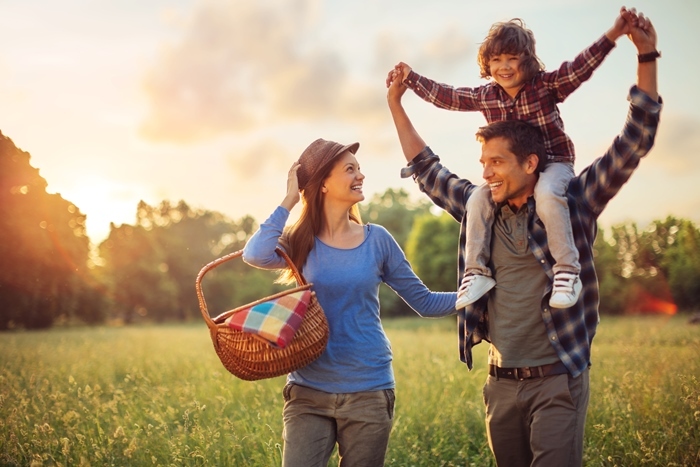 Apart from financial security, a pleasant state of being also depends on other factors, such as one’s physical health, personal purpose and social connectivity. WalletHub’s analysts considered all of these elements to determine which states are home to the happiest Americans. In order to do so, we compared the 50 states and the District of Columbia across 28 key metrics, ranging from emotional health to income levels to sports participation rates. Our findings, additional expert commentary and a detailed methodology can be found below. Why are Minnesota’s average electric bills of $108, so much less than ND’s $140 a month on average? North Dakota cost per KWH of electricity of 8.1 cents per KWH, that’s more than 20% less than Minnesota. How can this be? Answer: North Dakota’s average homes and businesses are not as energy efficient. Conservation is conservative, let’s not waste watts and money. Thanks to good work by Malini Srivastava and her team www.efargo.org has answers for simple ways we can all save money and energy. Through their hard work developing partnerships with the city, schools, power providers, and mostly young students efargo is in 3rd place in the Georgetown University Energy Challenge. FARGO—North Dakotans spend a chunk of change on their energy bills each month, according to a new analysis. Finance website WalletHub looked into average monthly energy bills for electricity, natural gas, automobile fuel and home heating oil in each of the 50 states and the District of Columbia to come up with new rankings released last week that found North Dakota is the country’s sixth most energy-expensive state, while Minnesota was the 20th most expensive. North Dakota’s average monthly bill of $328 ranked among the highest in the country in part because the state had the highest electricity consumption per consumer, not to mention the third-highest monthly cost of motor fuel at $149. Minnesota had an average monthly bill of $299. Residents there spent more on automobile fuel ($128, No. 8) and natural gas ($57, No. 10) than the national average, but the state’s ranking was improved by spending less on electricity—$108 compared to North Dakota’s $140 each month. Here’s our North Dakota ranking as second lowest cost per kilowatt hour in the nation 8.1 cents kwh compared to Minnesota’s 10.9 cents kwh. But there’s huge variation from state to state. Here’s a map of residential electricity prices, according to the Energy Information Administration. People in Hawaii pay the most for electricity, about 33 cents per kWh. A Hawaiian household whose electricity use was around the national average would have a monthly electric bill over $300. The high cost of crude oil used to generate the state’s electricity is driving the price, EIA energy economist Tyler Hodge told me. Idaho had the lowest price, at about 8 cents per kWh. So the typical US household would pay about $73 for electricity each month in Idaho. Hodge says Idaho generates much of its electricity from hydroelectric dams, which require virtually no fuel. Also, the cost of constructing the dams have been spread out over many decades. This all has kept electricity prices in Idaho low. WHOOP! WHOOP!! Our efargo team has just moved into 3rd place in the $5,000,000 Georgetown University Energy Challenge!! On Leap Day, Malini with our efargo team and Mayor Mahoney held a well attended press conference and presented a status report to the Fargo City Commission to help Fargo leap into the efargo energy efficiency era. Let’s keep looking for ways to share the efargo tools and game to keep moving on up! Thanks and way to go efargo! We’ve got Aspen Colorado and Huntsville Alabama in our sights. With your help, number one here we come!